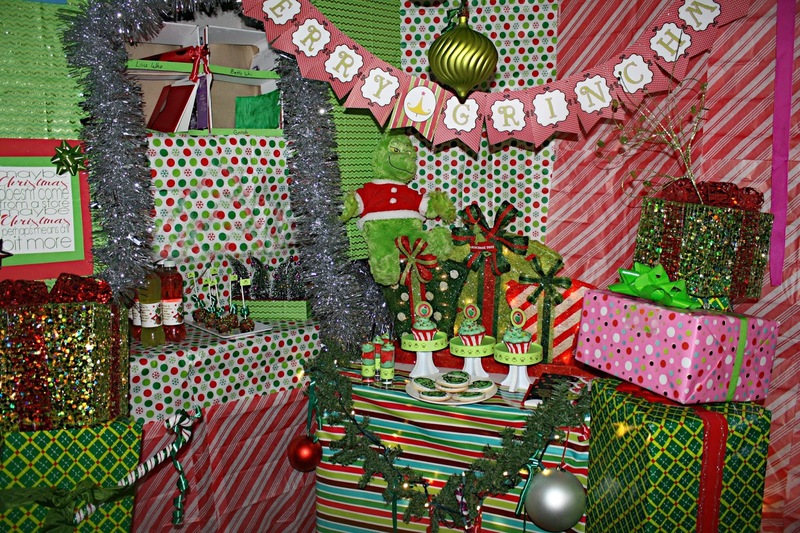 We had our second annual Grinchmas party and it turned out better than last year. The girls enjoyed it and we had fun but next year, I need to incorporate some games and activities. 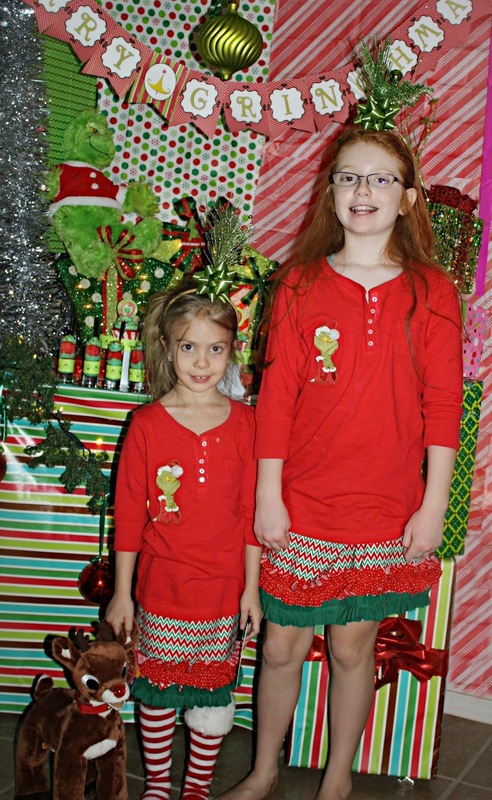 I embroidered the shirts and my oldest made the skirts and the Grinch cookies. Now, it's time to clean it all up and pack it away for the upcoming move. I have to make sure the movers don't break or ruin anything like the last time. I hope everyone had a Merry Christmas! 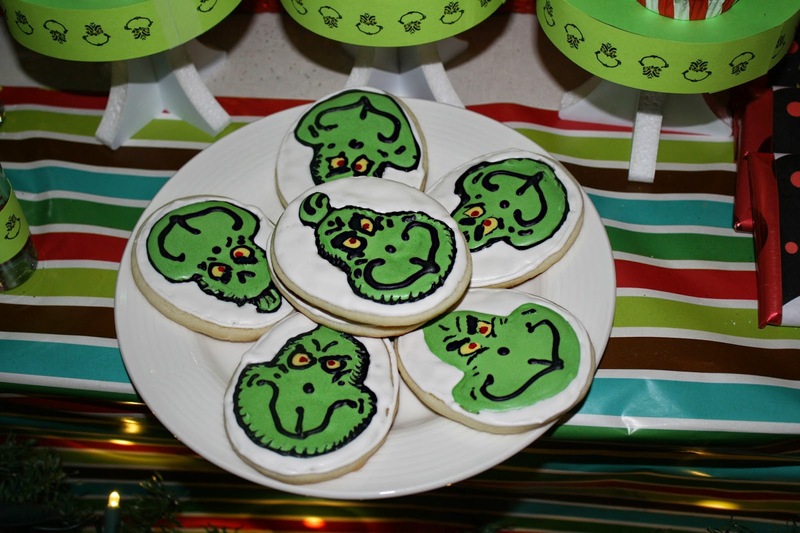 Grinch sugar cookies made by my oldest. 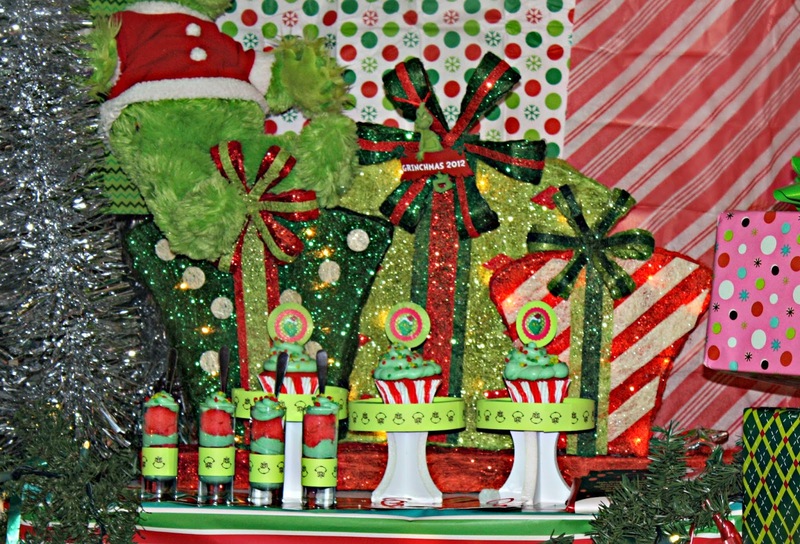 Grinch stuffed animal from Build-A-Bear, lighted presents from Kirklands, cake layers with an amazing frosting recipe I found online in small dessert glasses and cupcakes with Grinch picks I created and printed using my HP Printer along with Grinch border I placed around styrofoam cupcake stands I bought off of Ebay. 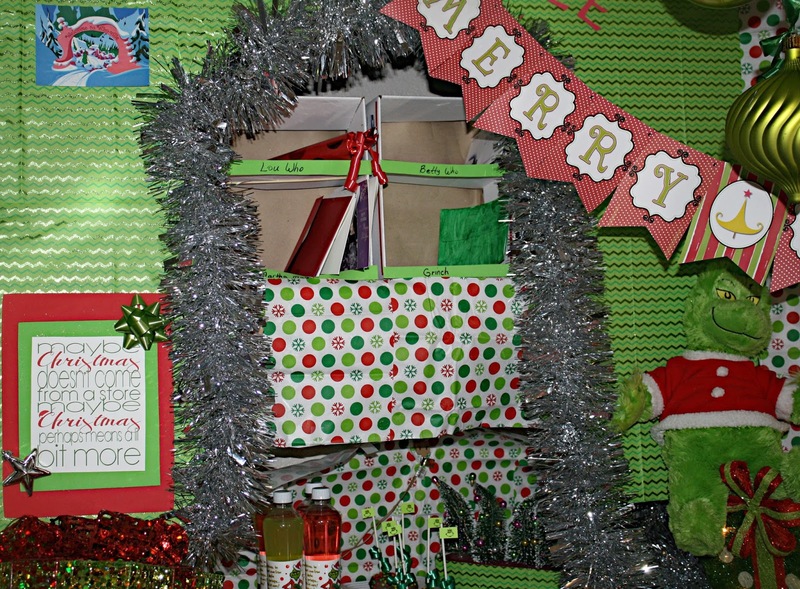 With my HP Printer, I printed off a some Grinch and Whoville pictures and recreated the mailroom from the Grinch scene. The banner was made from files I purchased on Etsy. I ran out of time to try to be more creative with the cake pops so I just made ball shapes and used confetti on top. The labels I made with a regular program and printed of my HP Printer. I applied packing tape carefully around each one to keep them water proof. 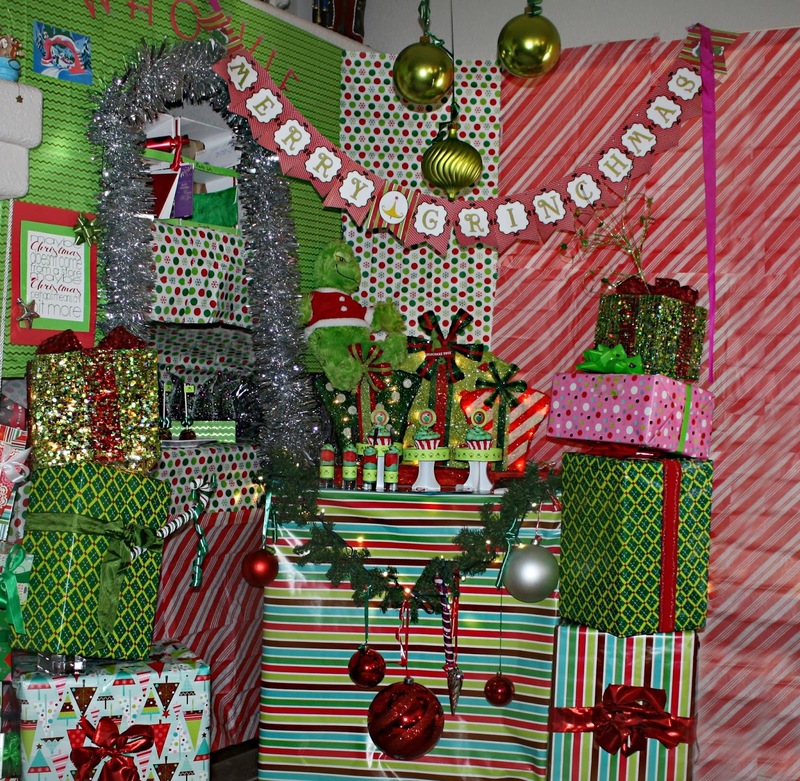 The Christmas trees came from Kohls and I just leaned them over for appearance. 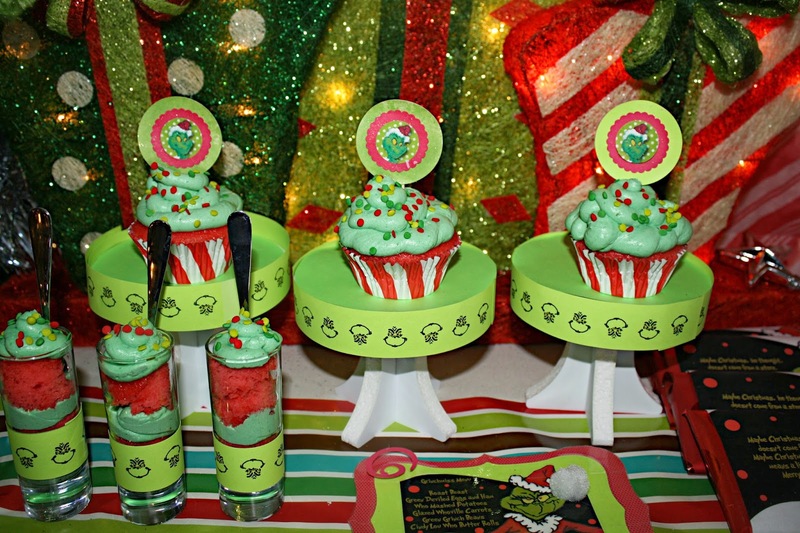 Closer look at the dessert glasses, cupcakes and of the menu that I made with help from the Cricut. We had roast beast, grinch green fingers (green beans), Cindy Loo Hoo butter rolls, green eggs (deviled) and ham and much more. The girls wearing their shirts I embroidered and the skirts my oldest made. I also made the headbands to be whimsical. 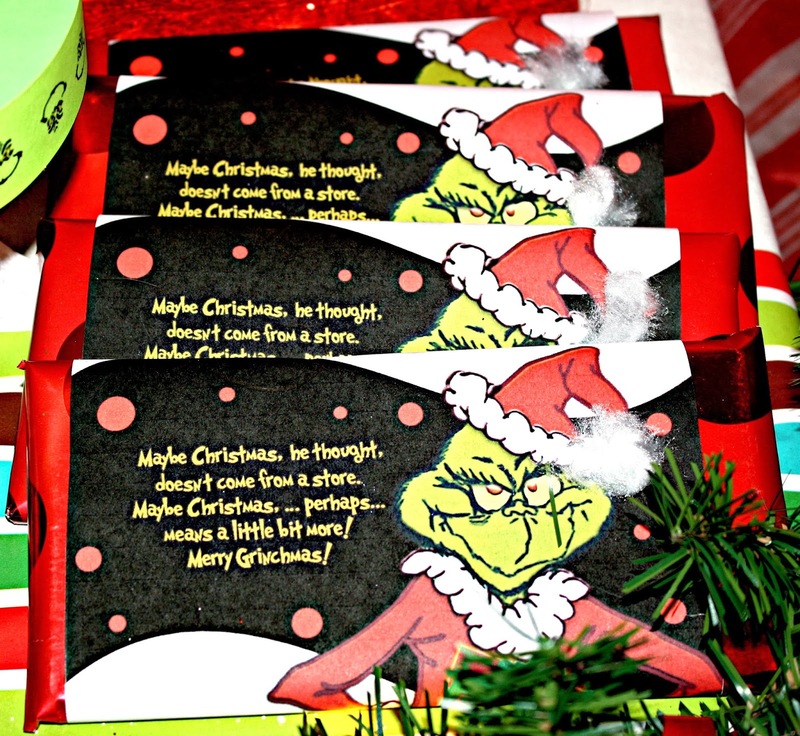 I used my HP Printer to print the giant Hershey bar Grinch wrappers. If you have any questions or want the templates, just e-mail me. 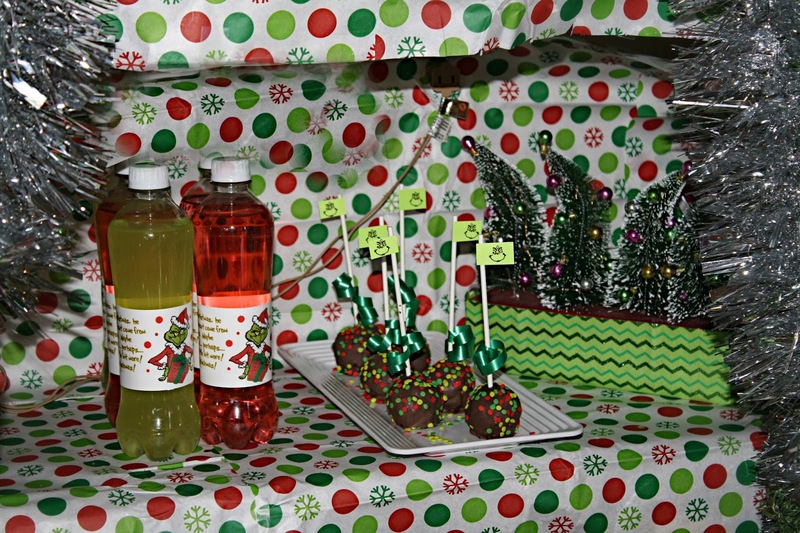 I am doing a Grinch party and would LOVE the printables!!!! If you could e-mail them to me, you are so very talented! !